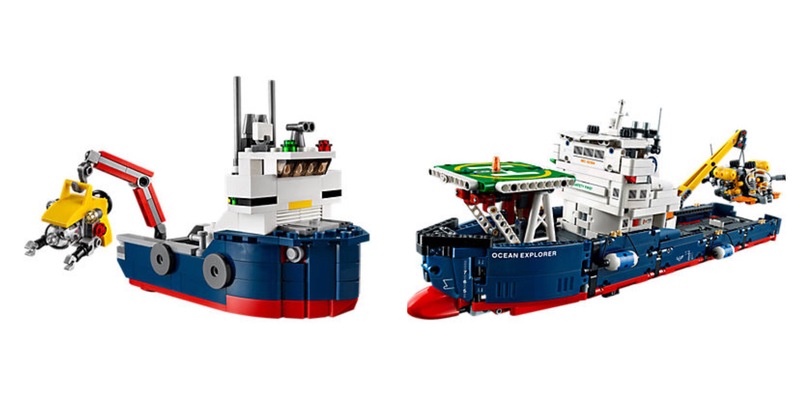 The TECHNIC Ocean Explorer (42064, $AUD169.99, 1327 pieces) looks very similar to lasts year’s Creator set of the same name, complete with the submersible launched from the stern. This one, however, also features a helicopter, ready to bring fresh personnel and a food parcel to the research vessel. This is the third ocean exploration vessel in as many years, across the LEGO themes, when you consider 2015’s Deep Sea Exploration Vessel (60095, $AUD129.90, 717 pieces) which also came with submersibles, divers, sharks and a wreck to explore! The Air Race Jet (42066, $AUD219.99, 1151 pieces) seems to share the same F-35 lineage as the Super Soarer, but with the addition of a motorised vertical take off and landing mechanisms, and a new colour scheme. I do like the alternate takes on these pocket money sets, passed over to the Technic team for a reimagining. These Creator sets have some fantastic Technic Techniques in their construction! This is a change from the trend a few years ago, when a few Creator sets were almost totally dependent on Technic mechanisms for their function. Examples of these include 2006’s Motion Power and 2007’s Monster Dino. These sets were both complet builds, particularly the Monster Dino, merging Creator and Technic construction techniques. What do you think of this ‘grittier, more challenging reboot’ of small, simple sets? 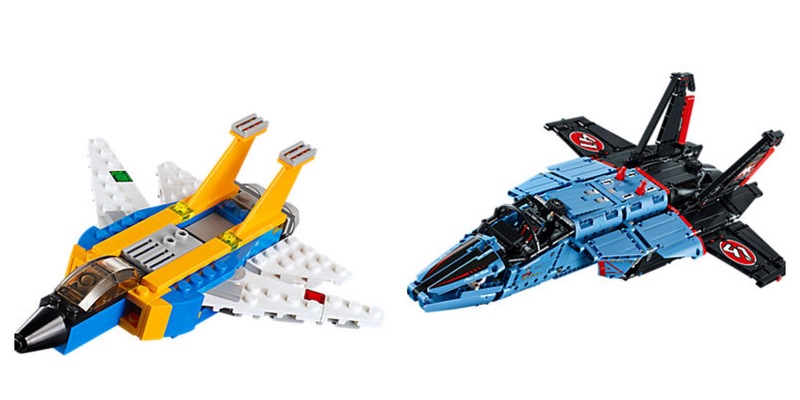 Which small Creator sets would you like to see revamped as a Technic set? Share your thoughts in the comments, and don’t forget to subscribe, to receive updates to the blog as soon as they are published. The Creator Ocean Explorer was almost a shrunk down version of 60095: Deep Sea Exploration Vessel. So it’s shrunk and then grown again.